I'm not keen on the music industry's current obsession with anniversaries. But one anniversary needs to be marked before the year ends, because it gives me an excuse to display the stunning sleeve art above, which is by Henrik Drescher. 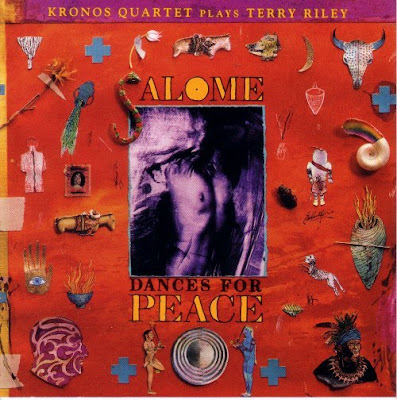 The classic Kronos Quartet recording of Terry Riley's Salome Dances For Peace was made twenty years ago, in August 1988. Terry Riley's In C here, Requiem for Adam here, piano music here, The Cusp of Magic here, and Kronos' Bollywood tribute here.